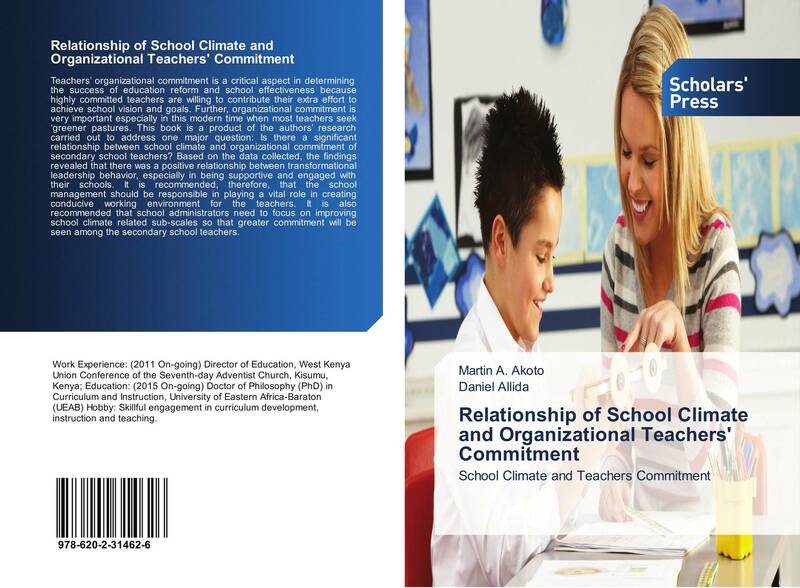 Teachers’ organizational commitment is a critical aspect in determining the success of education reform and school effectiveness because highly committed teachers are willing to contribute their extra effort to achieve school vision and goals. Further, organizational commitment is very important especially in this modern time when most teachers seek ‘greener pastures. 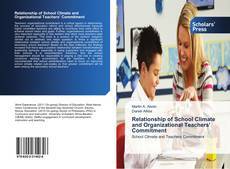 This book is a product of the authors’ research carried out to address one major question: Is there a significant relationship between school climate and organizational commitment of secondary school teachers? Based on the data collected, the findings revealed that there was a positive relationship between transformational leadership behavior, especially in being supportive and engaged with their schools. It is recommended, therefore, that the school management should be responsible in playing a vital role in creating conducive working environment for the teachers. It is also recommended that school administrators need to focus on improving school climate related sub-scales so that greater commitment will be seen among the secondary school teachers.